Aircraft in flight with wheels down. flydubai Announced Addition of Flights. 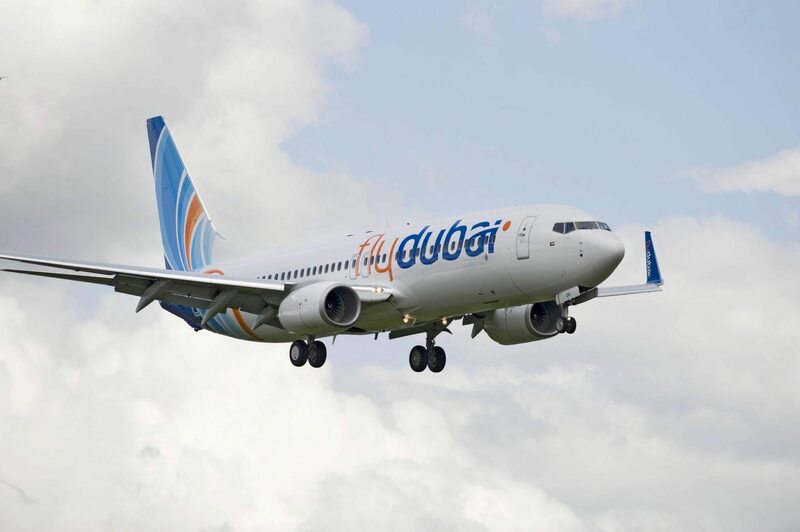 flydubai operates 33 weekly flights between Bahrain and Dubai. Dubai-based flydubai has announced the addition of five flights a week between Bahrain and Dubai, increasing the number of weekly flights to 33. Bahrain was the tenth route to join the flydubai network in 2009, just over six months of the start of the carrier’s operations, making it the second of its GCC destinations. The airline started its operations to Bahrain a double daily service which has grown to 33 weekly flights as demand for reliable and flexible air travel continues to increase between the two countries. To mark the occasion and to thank the top partners and travel agents in the market for their continued support, the airline hosted an event attended by officials from the Civil Aviation Authority of Bahrain, the UAE Embassy and flydubai. “It is with the support of our partners that we were able to grow air traffic between Bahrain and the UAE, making affordable and flexible travel options available to more people.” Obaidalla added. flydubai also presented its top agents with awards of excellence, followed by certificates of appreciation to the top performing staff members which took place at The Diplomat Radisson Blu Hotel on Thursday 25 February.